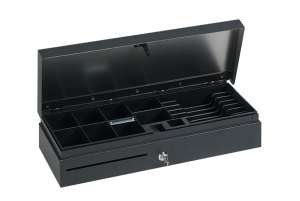 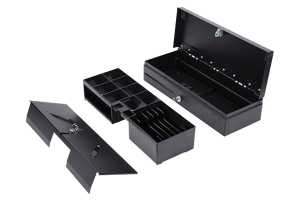 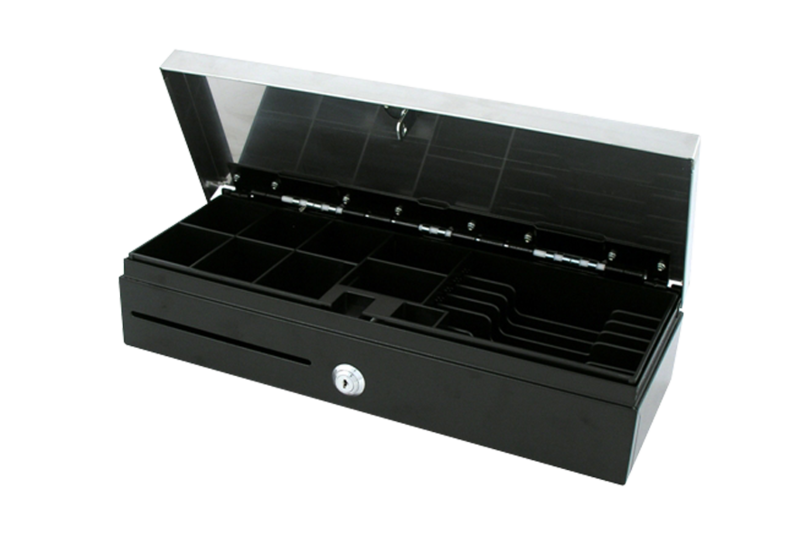 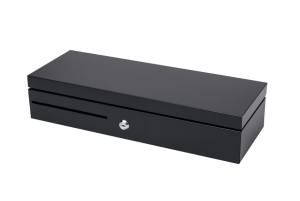 The FT-460 is a high-quality FlipTop cash drawer. 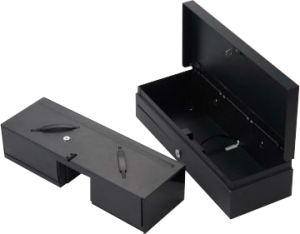 The housing is fitted with strong and resistant hinges. The FT-460 is logically divided into 5 Configurable banknote and eight coin compartments. This drawer is available in black or light grey. The FT-460 can be supplied on request with either an RS232 or a USB interface.